Teach your family healthy lifestyle habits by making one change each month! 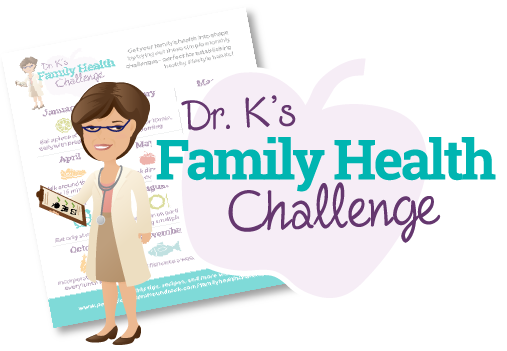 Enter your email address below and receive Dr. K’s Family Health Challenge calendar – a perfect reminder to hang on the fridge! Get tips, recipes, and more to help with each challenge!